See http://www.abfla.com/parks/WekiwaSprings/wekiwa.html for general information about the Park. 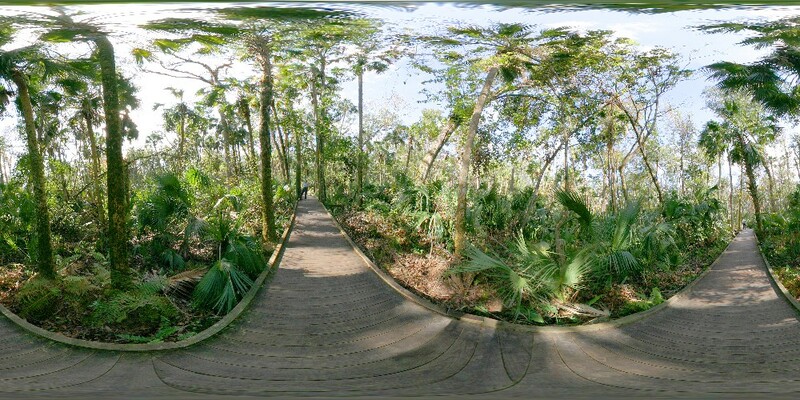 However, the boardwalk shown in this panorama is not mentioned there. The boardwalk starts just across the spring from the concession. It wanders for a few hundred yards, and a few tens of vertical feet, from the wetlands shown in this panorama to open pine forest. Full-spherical panorama photographed December 6, 2004. Software: PTGui, Panorama Tools, Photoshop, IrfanView, PTEditor, PanoCube. 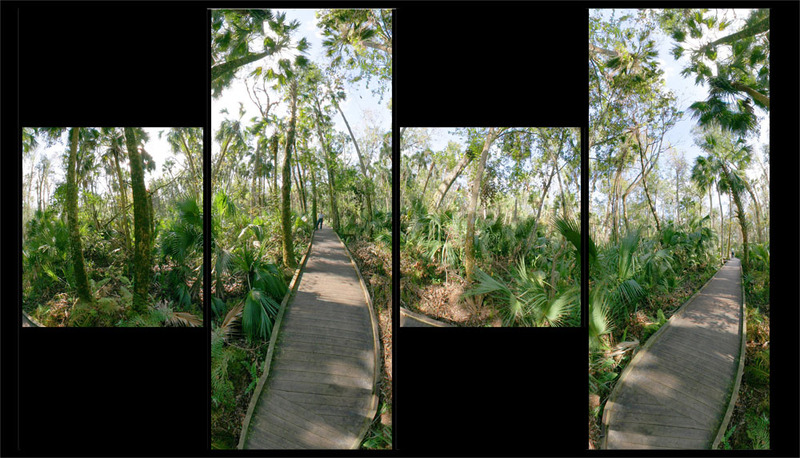 The following format is constructed from four transverse equirectangular images, each 220 degrees vertical fov by 90 degrees hfov (at center). Two of the images have then been cropped vertically to reduce the amount of obviously duplicated image area. Here is current information on how to reach me. Page last modified April 16, 2005.